Welcome to the thread on Kali NetHunter for the Samsung Galaxy S5. If you don't know what Kali NetHunter is, well, it's the entire Kali Linux operating system in a chroot on your phone, plus a bunch of awesome apps for executing exploits, fixing things, doing cool things. It goes on, I suppose. I'm gonna be honest guys, I'm not a security person. 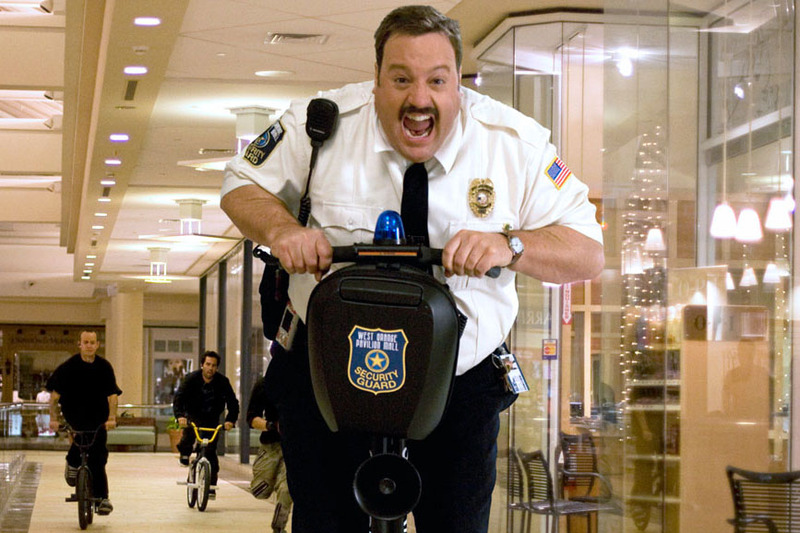 When it comes to security, I'm more of a Paul Blart. What I do know though, is that there is apt-get, and apt-get is life. The answer to all your questions, generally the answer is YES, IT CAN DO THAT. The installer zip will add a few files (including busybox) to your /system partition, and install all of the NetHunter apps to your /data partition. The chroot is located in /data/local, so you don't have to worry about your system partition being full. It's full read/write capable. Understand that the zip will replace your current kernel with a completely different one. This is necessary because most stock or custom kernels don't provide the drivers needed to operate most of Kali NetHunter's features. These Kali NetHunter builds are designed and tested for TouchWiz 5.1, 6.0 & CyanogenMod 13.0. Please be careful to download the right version for your device variant and ROM. Install kernel-nethunter-klte and nethunter-generic-armhf-kalifs-full-rolling zips in any order. Kernel only installers are in the kernel-only directory inside each build directory. It might be a better idea to try and install that first and see if you can boot before flashing the entire NetHunter. You can actually only install the kernel if you want to take advantage of its features without having to install the rest of NetHunter! Do not flash the NetHunter update zip with a fresh data partition! Most ROMs will wipe it clean on the first boot if you haven't completed the Android Setup Wizard yet, there's no need to wipe your ROM or data to try it out. I do advise backing up your data partition before flashing the zip though. Please make sure your phone boots fine and runs fine before flashing NetHunter. It's confusing when people report bugs that exist in CyanogenMod by itself. The Kali chroot and apps are installed on your data partition (in /data/local for chroot). To initialize the chroot and install Kali Linux, you need to start the Kali NetHunter app. The NetHunter installer will automatically install SuperSU in system mode, which I consider to be more stable. Since NetHunter already modifies your system partition, there is no need to use systemless SuperSU anyways. Flash kernel-nethunter-klte and nethunter-generic-armhf-kalifs-full-rolling zips in any order. Going from 3.0.0 and up, all you have to do is flash the new build in recovery. On some ROMs you may need to wipe dalvik cache. To get all your NetHunter and SuperSU functions back after flashing a new ROM, just flash the new ~60 MB update-nethunter-klte zip in TWRP. The internal WiFi chipset of the Galaxy S5 is not capable of running services which use monitor mode such as Wifite. For this, you will need to use a monitor mode capable WiFi adapter through a microUSB OTG adapter. As for compatible adapters, I highly recommend the Alfa Networks AWUS036NEH (eBay) which uses the Ralink RT3070 chipset. There are currently no monitor mode supported Wireless-AC adapters available. RAN INTO AN ISSUE OR BUG? If your issue is with a specific app, it might be better to contact the developer of that app. If your issue is during the installation (ex. flashing the NetHunter zip), then please collect a TWRP recovery.log for me. If you found a problem and were able to fix it, and no one's mentioned it in the thread already, it would be kind to state the issue and your fix for others to make use of as well. You can join me and the other NetHunter developers on IRC at the #nethunter room on freenode to more handily diagnose problems together. I apologize, but I can't do house calls at this time. USB Keyboard & VNC - Google Keyboard, AOSP Keyboard, CM Keyboard do not work due to a depth bug, use Hacker's Keyboard as a workaround. The NetHunter kernel for the Samsung Galaxy S5 is based on nVidia's rel-24-sb-r1-1 kernel sources. I am not affiliated with Offensive Security. They seem like cool guys though. I'm not even a novice when it comes to security and penetration. I'm just a simple system administrator with a passion for breaking Android. Please restrain yourselves from asking me security related questions. Just want to be the first to say thank you for this. I have nethunter on my grouper and love it. Now I can have it on my S5. Quick question before I start, I'm currently running VRToxin 6.0.1 with a modified version of their kernel. What is the best method if installing this? Hey guys, had a mod close the previous thread so I could add it to DevDB and clean up the posts from when the kernel was broken. This will modify and install everything except your kernel zImage. You will not be able to use OTG WiFi, Wifite, HID keyboard attacks unless your current kernel supported them. It will pretty much just be a chroot. This will also replace your kernel zImage, you will have full NetHunter features - but you will lose additional features of your current kernel. @crazyraiga: your logs show that system is mounted read-only, everything will fail in such a case. I'll add a check to the installer and refuse install in that case! Update: 20160122-1305 build now checks if it can write to /system and /data before running the installer. I've just flashed full chroot zip and everything seems OK. But kali mode in terminal not working: terminal just makes toast '1)No title' and crashes. So I don't need the kltespr-marshmallow-update.zip? If you don't want USB OTG WiFi or HID keyboard gadget support or want to keep your current kernel, then no you don't need that. Experiencing internal memory drain: memory dissapears in seconds. i tried it earlier and it works on cm13 no dualbooting. too bad i dont have external wifi adpter. gonna buy soon. i first installed kernel, then update marsmallow, then chroot full. have not gone through all of the apps. one thing though i cant screenshot thru home and power buttons. i dont know if cm13 related or kali. great man was waiting for this a long time. can i install it on bless rom 6.0? It should work on any ROM that is AOSP / Slim / CyanogenMod based. Basically as long as it isn't TouchWiz it *should* work. I don't know what bless rom is.